As a coffee and travel lover loved this design! 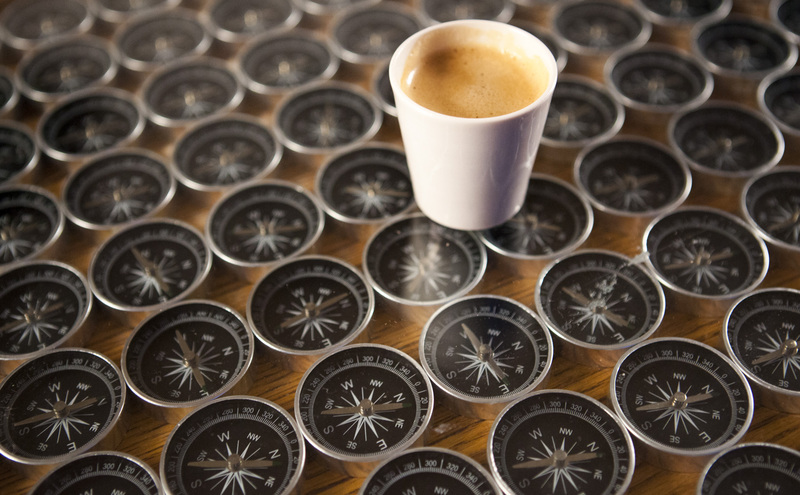 Sagmeister’s Compass table has 300 embedded compasses and custom magnetic porcelain espresso cups. When you place the porcelain cups on the table, they trigger the compasses underneath and all compasses point to each cup placed on the table.